Trying to find a nice neighbourhood in Sunshine Coast? Kings Beach is situated 45 kilometres south of the CBD. Got a trip planned to Sunshine Coast? Spend some time in the region seeing the attractions, such as the Australia Zoo. At Shelly Beach, the shores and sea air await. So pack your sunnies, and take off to enjoy the atmosphere. 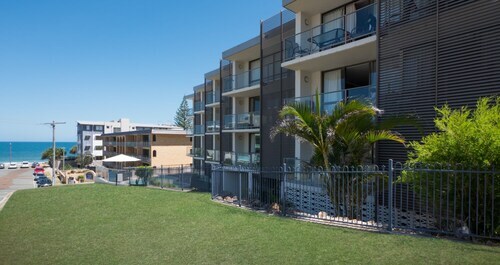 Consider the rates at the Aspect Caloundra and Rumba Beach Resort to be nearby. You'll have a cracker of a time swimming in the surf, and meandering along the shores of Moffat Beach. If this place is more your thing, try the Sails Resort on Golden Beach and Monaco. 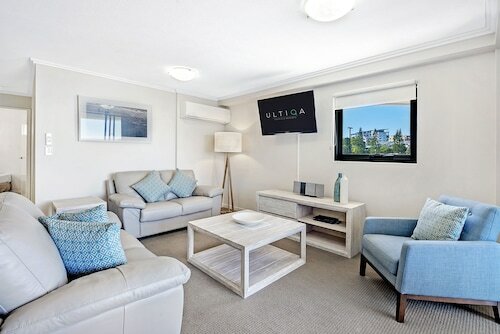 The Rolling Surf Resort and ULTIQA Shearwater Resort are some more upmarket places to stay in Kings Beach. That said, don't stress if you are roaming on a tight budget, as Kings Beach contains a number of accommodation options for all travellers. A terrific Kings Beach cafe, The Coffee Club Rumba is well worth popping into. Kick back with a good book, nibble on a sweet pastry or just grab a coffee to take away. No matter how hard we try, our bodies can't run on caffeine alone. Have a look over the menu at Oaks Oasis Resort when your tummy starts to growl. And of course, you haven't truly experienced Kings Beach until you've rubbed shoulders with the locals at the neighbourhood watering hole. Here, Kings Beach Tavern is where you want to go. 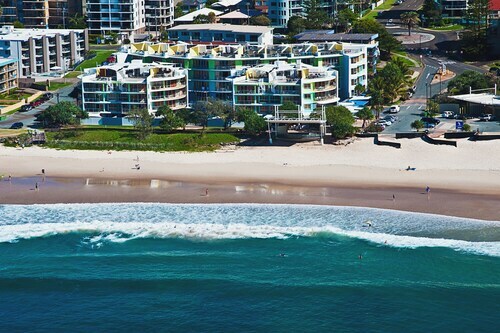 You may want to consider securing a room in Shelly Beach or Moffat Beach when organising your holiday in Kings Beach. Shelly Beach is 0.7 kilometres from Kings Beach and Moffat Beach is approximately a kilometre away from Kings Beach. From accommodation in Kings Beach to car hire, activities and flights, Wotif has got you covered! How Much is a Hotel Room in Kings Beach? Hotels in Kings Beach start at AU$159 per night. Prices and availability subject to change. Additional terms may apply. Closeness to the beach, shops and restaurants. No need to drive anywhere.